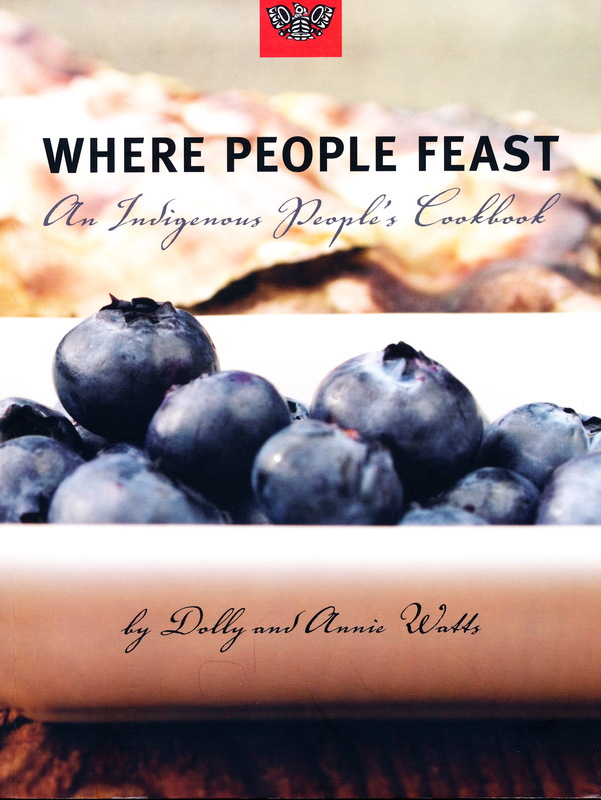 Where people feast, an indigenous people’s cookbook continues the theme of building up a core reference library for educators who want to include First Nations foods in their curriculum. It is also a good introduction to Northwest BC food traditions and of interest to anyone wishing to include more indigenous foods or wild game in their culinary repertoire. The book was written by Dolly Watts and her daughter Annie, members of the Gitk’san First Nation whose territory is located in northwest British Columbia. Dolly Watts is well known as the owner-operator of Liliget Feast House and Catering that operated in Vancouver for many years, closing in 2007. Recipes are included for wild game, seafood, vegetables, soups, sauces, baked goods, desserts and beverages. Instructions are provided for traditional ways of smoking and preserving foods. There are three recipes for making of bannock – baked, fried, sweet and savoury and several recipes that use bannock in making croutons and bread pudding. Indigenous foods such as venison, salmon, buffalo, elk, chokecherry, saskatoon, huckleberry, cranberry and sopalali are ingredients in many of the recipes. There are brief notes on each recipe that tell of historical significance, ways of serving or tips for making.